Further evidence of the Kenyan Mooslim’s utter failure to grasp the essentials of free market economics. On the auto bailout, despite GM going public last week and sending billions of dollars back to taxpayers, Perry still insisted that it wasn’t successful and said the federal government shouldn’t be involved in private sector growth. Of course, this being Romney, he now says that this tragic idea was really his in the first place, which contortion is one of many reasons that Rick Perry is the most likely GOP nominee. 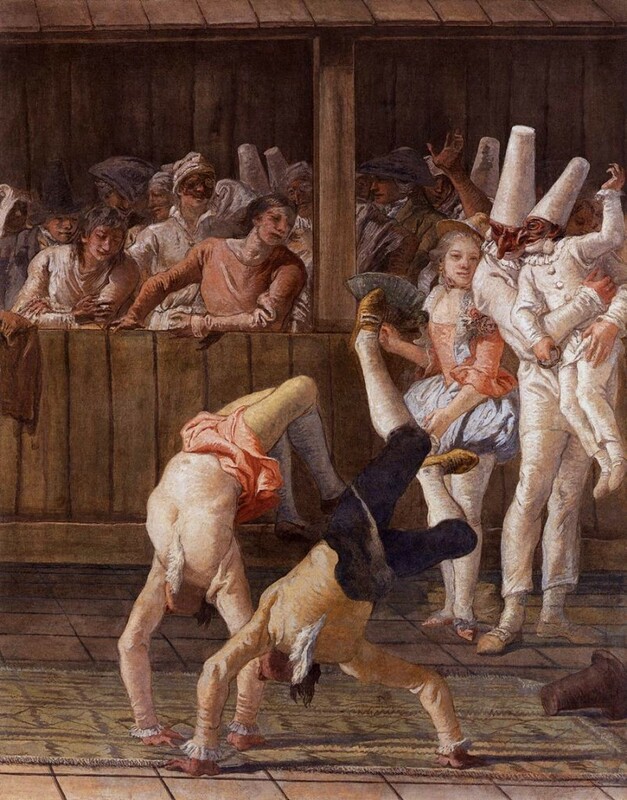 Image: Giovanni Battista Tiepolo, Pulcinella and the Tumblers, 1797.